The last 100 years has seen GCHQ at the heart of the nation's security, and we'll continue to help keep the UK safe for the next 100. 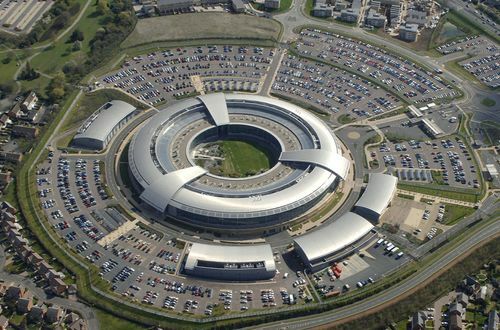 Challenging projects, early responsibility, outstanding professional development and a series of unique experiences – that’s what you can expect as a graduate at GCHQ. Some of GCHQ’s roles require a specific technical degree. Others, including the leadership development scheme for motivated individuals, welcome graduates from any discipline. Whatever your degree, GCHQ will offer you a rewarding and challenging career in a supportive culture where you really can be yourself. The GCHQ numerical reasoning tests are designed to measure your numerical abilities and relate to graphs, percentages and tables whereby you will be asked to analyse data and chose from a set of multiple choice answers. These will be timed so it is important to practice in advance. This test comprises of a series of paragraphs which you will be required to read and then answer questions. In the verbal test your options will be True, False or Cannot Tell. This test will be assessing your analytical skills as well as your comprehension and grammar. The logical reasoning and diagrammatic reasoning tests comprise of questions relating to sequences of shapes and patterns. In each question there will be a missing step and you will be provided with a number of answers to choose from. These are designed to test your logical reasoning as well analytical and problem-solving skills. You will be asked to sit a personality test which will include a number of words and statements which you will have to rate in how important you feel each are. This test is designed to see what type of person you are and how you will fit into the organisation.